Cassia Alata seeds have a waterproof skin which makes the germination slow, from months to few years. There are many ways of removing this skin. We have to scratch gently the skin until a stain appear in the skin. After that, we have to put the seeds in hot water for two days, changing the water every day. 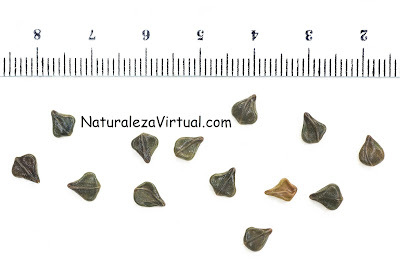 The seeds may take 10-15 days to three months to germinate under perfect conditions. For all that time we have to keep constant moisture and temperature. In order to improve germination, the temperature should be around 20ºC.